We've put together a website designed specifically for mobile phones so you can get information about what to do in an accident, and how to get in touch with us. 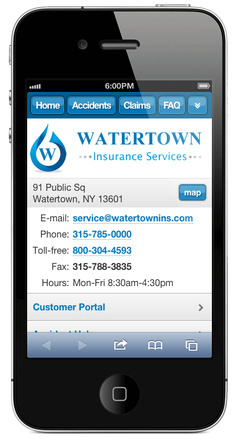 We strongly encourage you to visit m.watertownins.com right now on your mobile phone so you can bookmark it for later access. This way the valuable information will be at your fingertips when you need it.